Touch is an important part in a person’s mental, emotional, and physical health. It’s a primary language that communicates compassion and promotes bonding and health. A touch is needed for psychological regulation. Children deprived of touch suffer a delay in their cognitive and developmental growth, have attachment disorders, and have higher risk of infections. In contrast, premature infants who are held skin-to-skin, exhibit better cognitive skills, are more resilient to stress, and have more organized sleep patterns that could last even up to 10 years. The benefits of touch don’t diminish with age. Touching others through hugs increases bonding and boosts physical and emotional health. Our human bodies are wired to feel warm and fuzzy inside after receiving a genuine hug. A hug doesn’t drain us, instead it recharges us and provide us with emotional and physical health benefits. 1. Hugs release “love hormone”. Psychologists associated the release of oxytocin with hugging. Known as “love hormone” or “cuddle hormone”, oxytocin is released from the pituitary gland the moment we hug. This triggers a flood of emotions depending upon the environment the hormone is associated. For example, if oxytocin is released during a poor relationship, you’ll become less accepting of people. Oxytocin was first recognized in the bonding of mother and child during pregnancy and nursing. Every time both mother and child have this interaction, the infant secreted more amount of oxytocin. In adults, the release of this hormone triggers feelings of trust and support between people who hug. A feeling of compassion with the other person arises, which is much needed during times of psychological stress or grief. People who hug feel an intimate and close connection accompanied by feelings of fitting socially and a positive sense of self. 2. Hugs reduce the levels of stress. The release of oxytocin reduces the levels of stress hormone, or cortisol. A reduced stress coupled with a sense of emotional support, strengthens your immune system and make you less susceptible to colds. Or, if you have a cold, frequent hugging enables you to have less severe symptoms. A reduction in cortisol could also help you stay calm in stressful events, lower your heart rate and blood pressure. 3. Hugs support the immune system. The thymus gland, responsible for the regulation and balance of your white blood cells, is stimulated every time you feel the pressure of a hug. This is another way of supporting your immune system. The Touch Research Institute at the University of Miami School of Medicine has carried out multiple studies on the significance of touch and found a reduction in pain, lowered glucose levels in children with diabetes and improved immune system in people with cancer. Hugging a person is a non-verbal gesture of showing how important the person to you is. It’s also an excellent method of communicating love and care. People who get frequent hugs a day are found to be less prone to depression. 6. Hugs release chemicals that affect a person’s mood. Hugs stimulate the release of dopamine, a hormone that evokes pleasure in the brain; endorphin and serotonin, which reduce pain and sadness. 7. Hugs promote healthy emotional attachment and intimacy. Emotional attachment and intimacy are the foundation of a happy, healthy long-term relationship says relationship expert, Debra Castaldo. Married couples who hug frequently are found to have lasting relationships. 8. 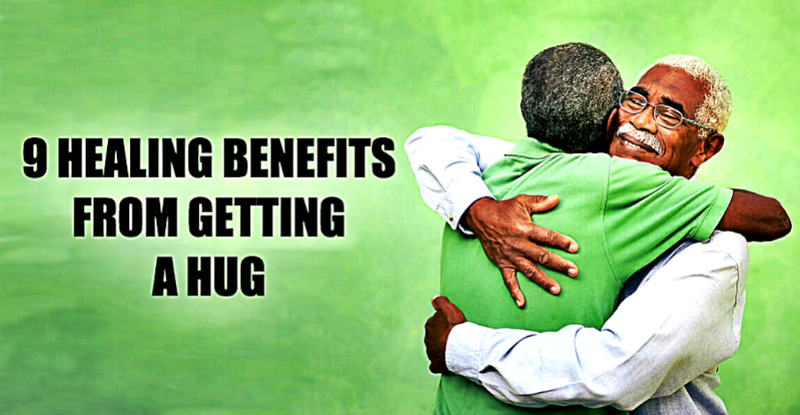 Hugs have life-changing effects on the individual. Believing that hugging has a life-changing effects on the individual, Zen Master Thich Nhat Hanh started a hugging meditation. He said that hugging connects our hearts and our beings. When we hug with mindfulness and concentration, we are able to reconcile, heal, understand, and experience more happiness. According to Hanh, meditation hugging can be practiced with your father, mother, sibling, spouse, or even a tree. Begin the practice by recognizing each other’s presence. Follow it with an embrace that encompasses three deep breaths. The first breath is designed to help you acknowledge your presence in the present moment. With the second breath, you become aware of the presence of the other and with your third breath, you celebrate with gratitude your presence with the other person. Hanh believes that hugging in such a way brings reality into the present moment, and possibly reconciliation. 9. Hugs reduce fear and social anxiety. Even hugging an inanimate object like a teddy bear reduces the feelings of fear. Getting a hug right before going to a party where you don’t know anyone may help you feel more confident and social. Each culture has a different response to a touch. Some are more open to it, while others avoid to touch a person as a sign of respect. 1. Hug a Teddy Bear if hugging another person is not possible. This reduces your feelings of fear and anxiety. 2. Greet someone with a hug. While this is difficult between two men, asking them first is important and then proceed to getting out of your comfort zone. 3. Have a therapeutic touch. Make it a habit to meet with a chiropractor, massage therapists, or reiki masters at least once a month. Unless you give one, you may not get a hug. Practice hugging your children, siblings, parents, and friends. Not all people welcome the idea of a hug as a protection on their part. They may be afraid of getting viruses or may a have different interpretation of the hug. If someone doesn’t like to give you a hug ask another person you feel closer to and do not take it to heart. Nonetheless, seek out those who want to be hugged. The more you’ll initiate, the more you’ll find the people who love to hug you as much as you want to hug them.